to fulfill an individual bride's needs. 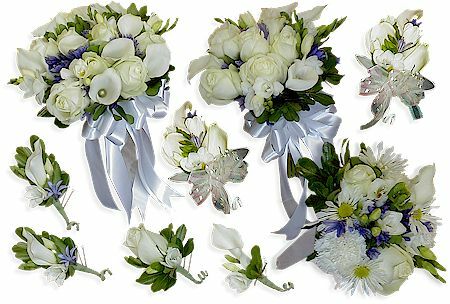 All bouquets are arranged with adequate greenery, filler and bow. NOTE: All items featured on this Web site are available in different sizes and represent the types of arrangements offered. These may vary depending upon availability and season.